Oddly enough, there are a variety of different types streams. A stream originates at its source. A source is likely to be in the high mountains where snows collect in winter and melt in summer, or a source might be a spring. A stream may have more than one source and when two streams come together it's called a confluence. 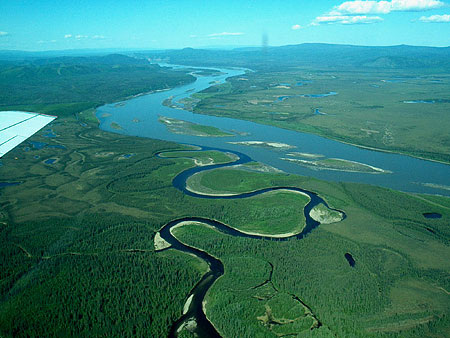 The smaller of the two streams is a tributary of the larger stream. 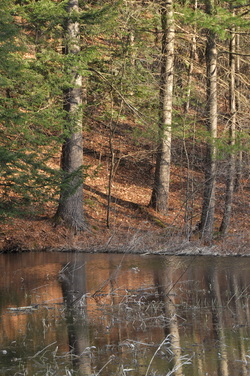 A stream may create a pool where water slows and becomes deeper. Th Environmental Protection Agency (EPA) has an animation to help people better understand aquifers. The water droplets are found in the pores between the sediment grains, which is porosity. When the water can travel between pores, that’s permeability. To reach an aquifer, surface water infiltrates downward into the ground through tiny spaces or pores in the rock. The water travels down through the permeable rock until it reaches a layer that does not have pores; this rock is impermeable. This impermeable rock layer forms the base of the aquifer. The upper surface where the groundwater reaches is the water table.